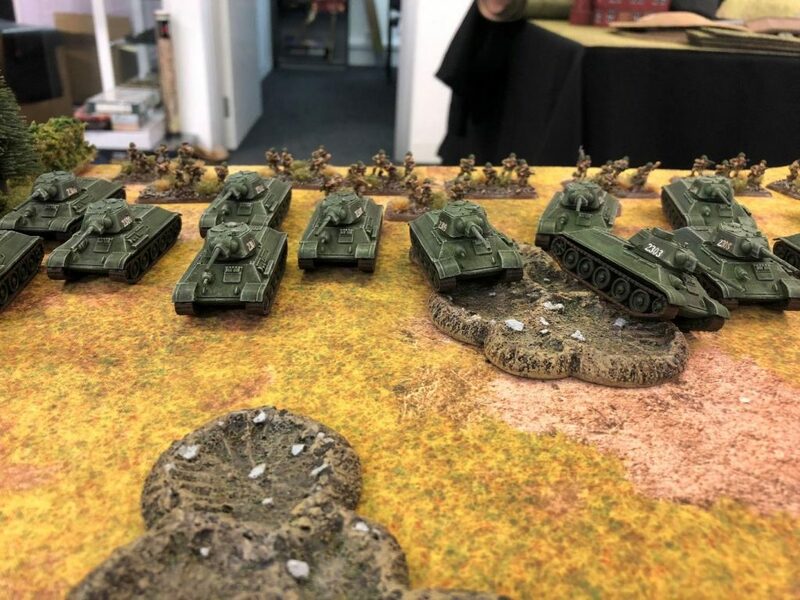 With the release of the upcoming books Ghost Panzers and Red Banner myself and Chris sat down and planned our next armies. Chris being the resident Soviet player grabbed the Red Banner book, meaning that I would be taking a German list: the first in a long time. Taking the book over the weekend and having a read through (and also watching the great series on tanks on Netflix) my choices were narrowed down to a couple of the lists. 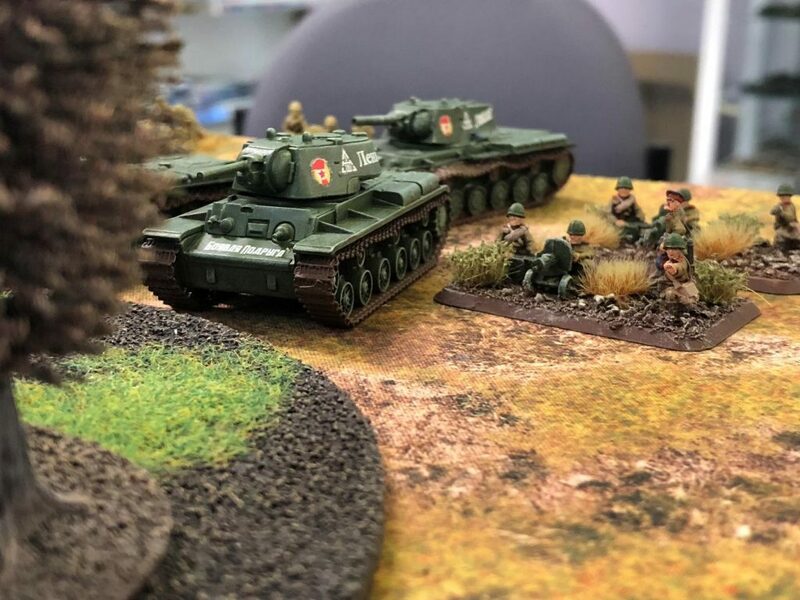 As much as I loved the idea of a small but hard hitting Tiger or Panther force, I wanted a few more models on the table. 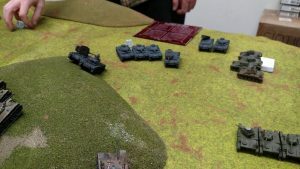 So I jumped at the Mixed Panzer Company. 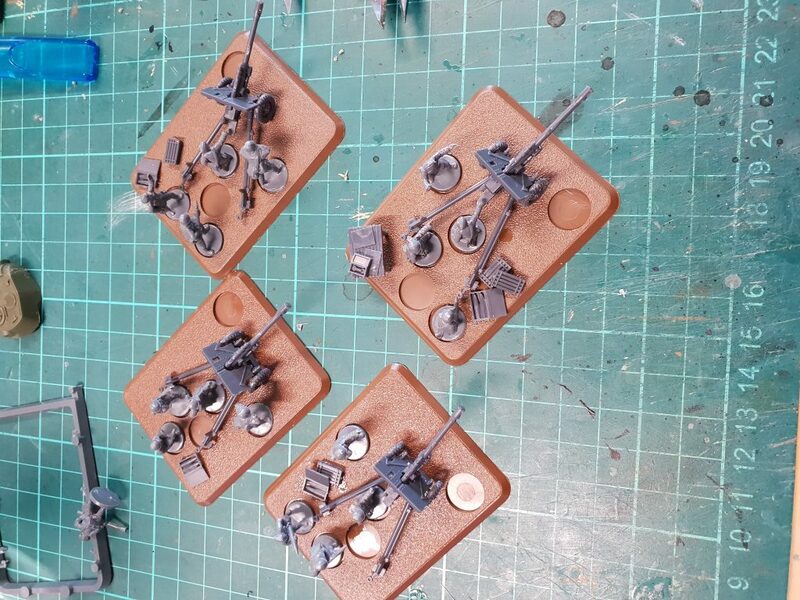 Using the upcoming Bӓke’s Fire Brigade as the core of my force my list was starting to take shape. 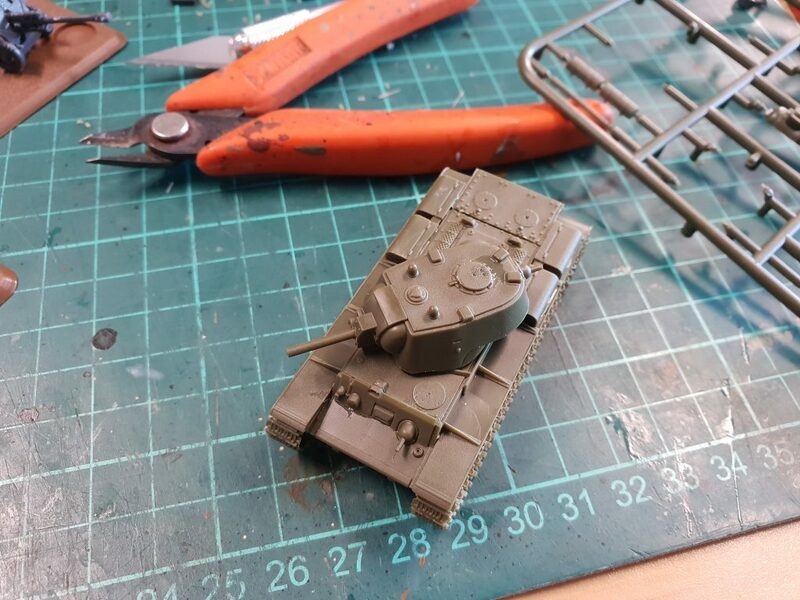 I knew I wanted a couple of the big tanks—Panthers and one of my favourite tanks of the war, the mighty Ferdinand. 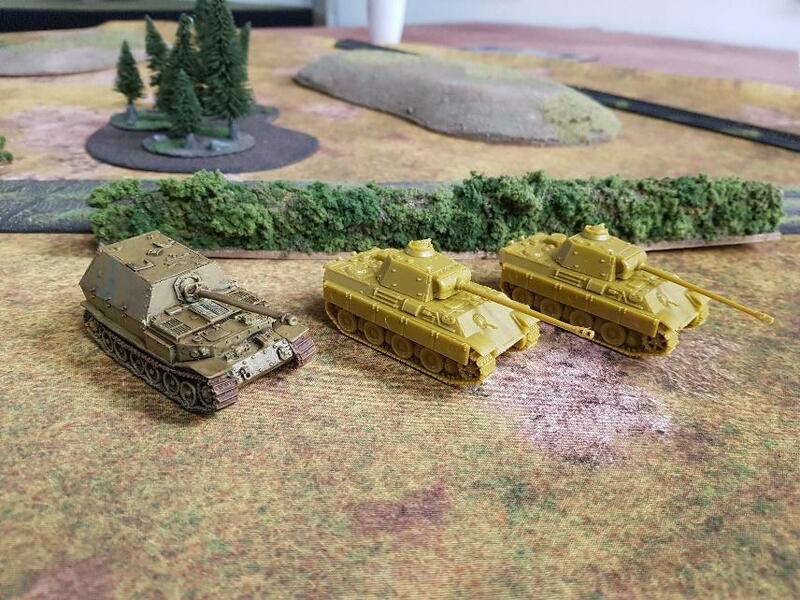 So with a mix of Panzer III’s and IVs I feel that I have a good basic core to my force. 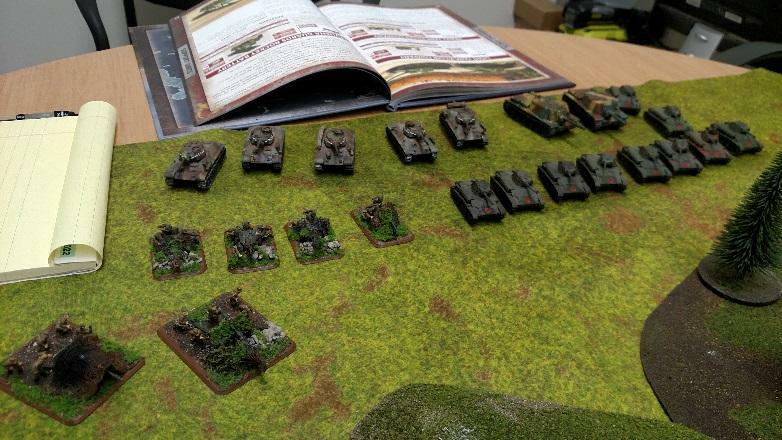 Looking to the future I am planning on Armoured Panzergrenadier Company. 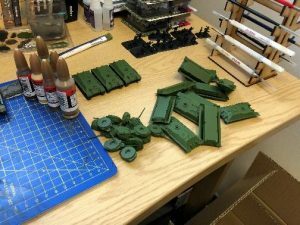 After a busy week last week managed to get a little build time over the lunch breaks. 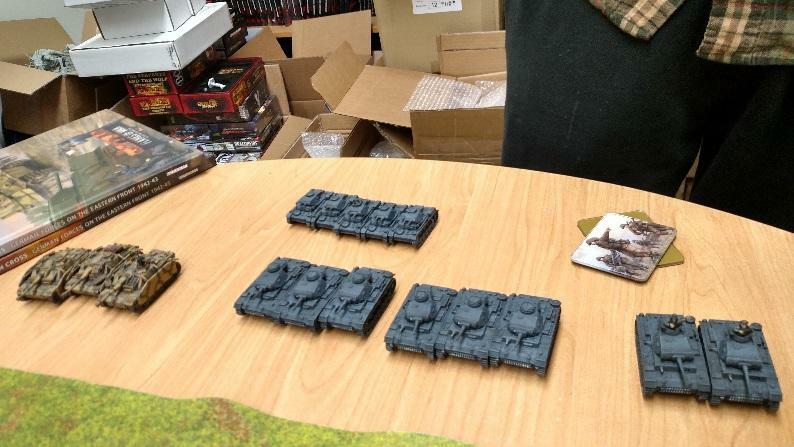 So up first are the armies big guns the Ferdinand and Panthers. 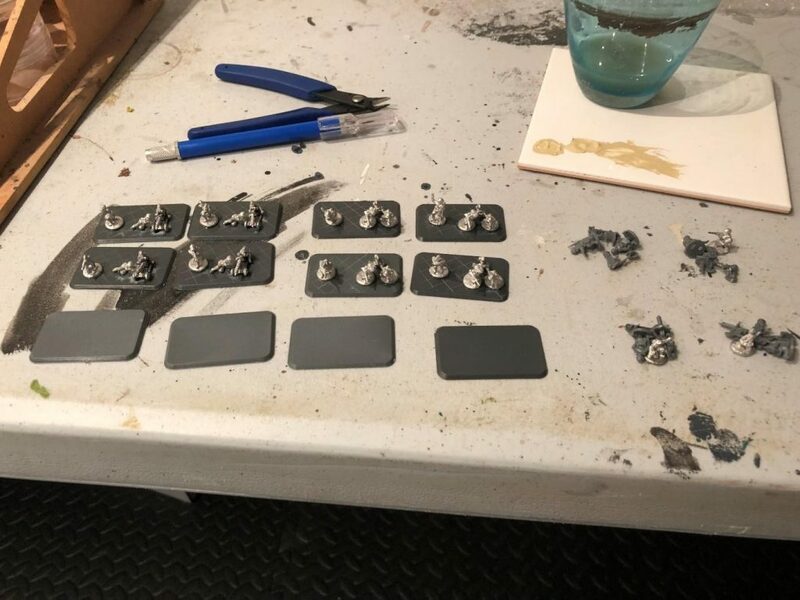 I like to have a fairly dark scheme to my army so I start my undercoat with Grenadier Green before the base coat of Panther Yellow. 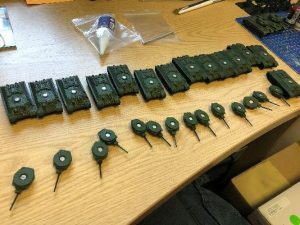 Next up is a wash and building the Panther Yellow back onto the tank before the camo and decals and then the weathering. 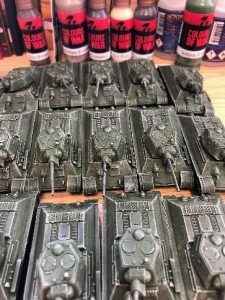 I am a going for a dirty battle-worn tank rather than factory fresh. 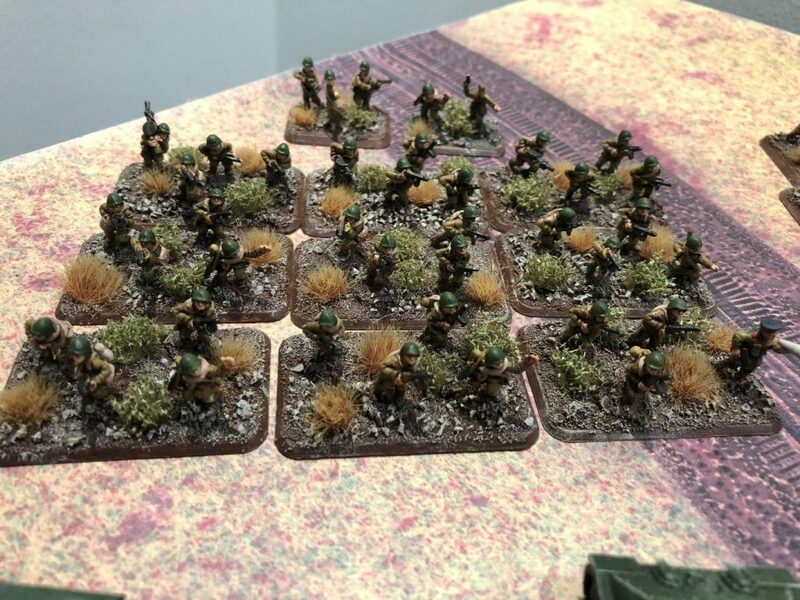 The release of Avanti in Mid War allowed me to get back to my first love in Flames of War— Mid-War Italians (my first Flames of War force). I loved their cool special rules like Unknown Hero and their interesting equipment like Lancias, Semoventes, and Elefantino guns. But mostly, it was because by the time of Mid-War they were very much underdogs. So when you won, and won with style. 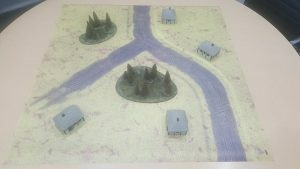 it was an even better feeling, as you knew you it was your guts, skill, and a few lucky dice rolls that pulled it off even with your sub-par equipment. One unit that didn’t make it to Avanti was the 47/32 Semovente, these little self-propelled anti-tank guns were great for hunting down armoured cars, knocking out machine gun nests, and generally annoying my opponent. Also as this was my first Italian unit I painted, I felt I had to have these in my list, so I put this Unit Card together. But first I looked a little more into the history of the Semovente da 47/32. 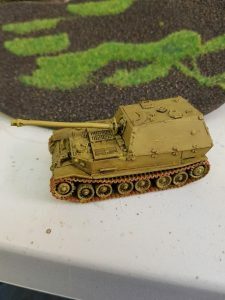 In 1940 the Germans had shown the usefulness of the self-propelled gun in the invasions of Poland and France, their allies the Italians had noticed, and wanted to produce their own. By then they had also realised that their current tank designs were underpowered and obsolete compared to Allied designs, and needed a stop gap measure until the heavier Italian P40 tank reached production. By the start of 1941 they had plans to convert two different types of self-propelled guns (Semovente) based on tank chassis already in production, the Fiat-Ansaldo L6/40 light tank (which was ending its production run), and the larger Fiat-Ansaldo M14/41 medium tank. 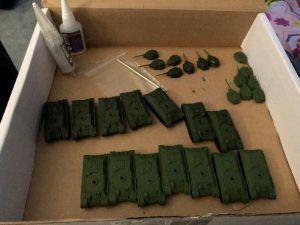 Work was quickly started, fitting the 47mm Cannone da 47/32 inside the armoured but open topped superstructure built on the L6/40 chassis. 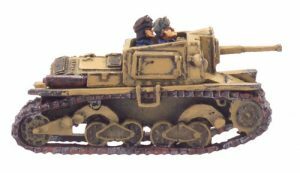 This vehicle kept many of the characteristics of the L6/40, using its engine, drive train, tracks, and 30mm frontal armour. 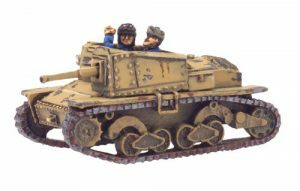 An armoured box was built on top of the chassis and mounted forward compared to the L6/40 hull, it was also roomier. This allowed the larger 47/32 gun to fit in the fighting compartment, which was still cramped, but the gun was compact enough to still be useable. The 47mm Cannone da 47/32 was originally an Austrian anti-tank gun that was built under licence in Italy in the 1930s. It had a muzzle velocity of 630 m/s with AP shells, and 250 m/s with Italian Effecto Pronto (HEAT) rounds, with an effective range of 500m, where it could defeat 43mm of armour (up to 58mm at close range). 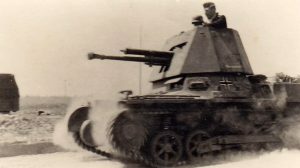 Standard Semovente 47/32 carried around 70 rounds of ammunition and lacked a radio, but a platoon command variant was fitted a radio in exchange for less ammunition. Production started in late 1941, but realistically given the smaller scale of Italian industry, the Semovente 47/32 was not available in great numbers before 1942, and was produced up until 1943 when the Italians surrendered. Around 280-300 had been produced in that time. 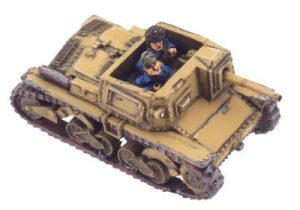 There was also a company command vehicle produced which was equipped with long range radios and map tables, and the main gun was replaced with a Breda machine gun which was disguised as a 47mm gun. When it entered service in 1942, some of these units were sent to replace the tank losses in Italian armoured divisions in North Africa. They operated with the Ariete and Litorrio Divisions from the second Battle of El Alamein, and up until the fall of Tunis in February 1943. Some others were also stationed in Italy, with units attached to the “Black Shirt” Divisions in Sicily. They saw action in defence of Sicily when the Allies invaded in 1943 with Operation Husky. In both cases they faced newer allied tank designs, with better armour and firepower. The gun was ineffective against medium tanks like the M3 Lee or M4 Sherman, and barely adequate against smaller allied light tanks like the M3 ‘Honey’ Stuart at normal fighting ranges. 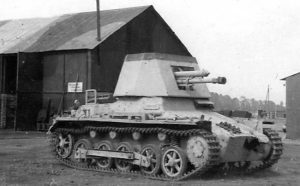 Another 38 Semovente 47/32 were shipped to the Eastern Front, and operated with the ARMIR (8th Italian Army). There, along with the L6/40, it was the most heavily armoured and Italian unit on that front. 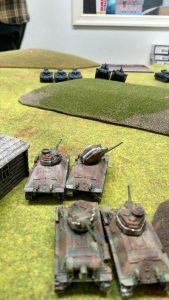 It had to contend with the much heavier and better designed T-34 and KV-1 tanks, where it was unless except at extremely close ranges as its gun could not penetrate their thick armour. As a result it was not very successful. 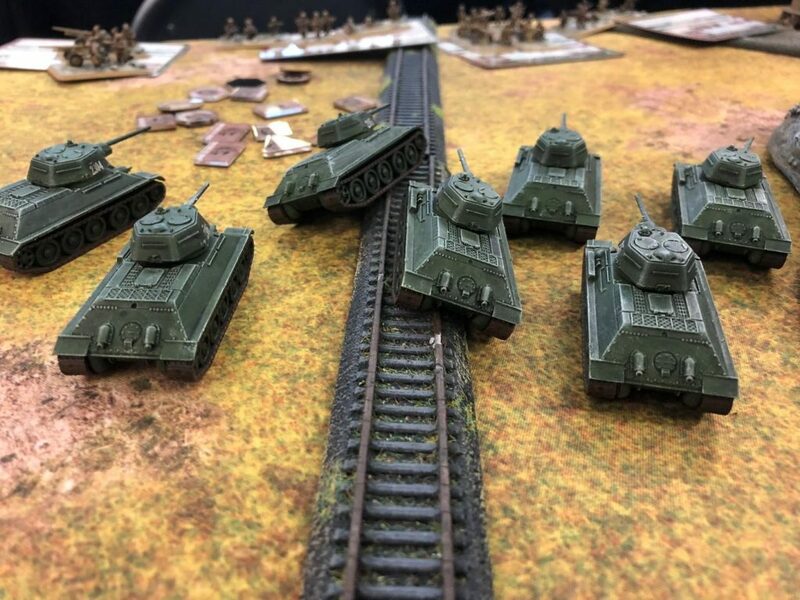 By February in 1943, these units had been decimated by the Soviet counter-offensive Operation Little Saturn, where the Soviet forces actively targeted the weaker Italian and Romanian forces around Stalingrad. 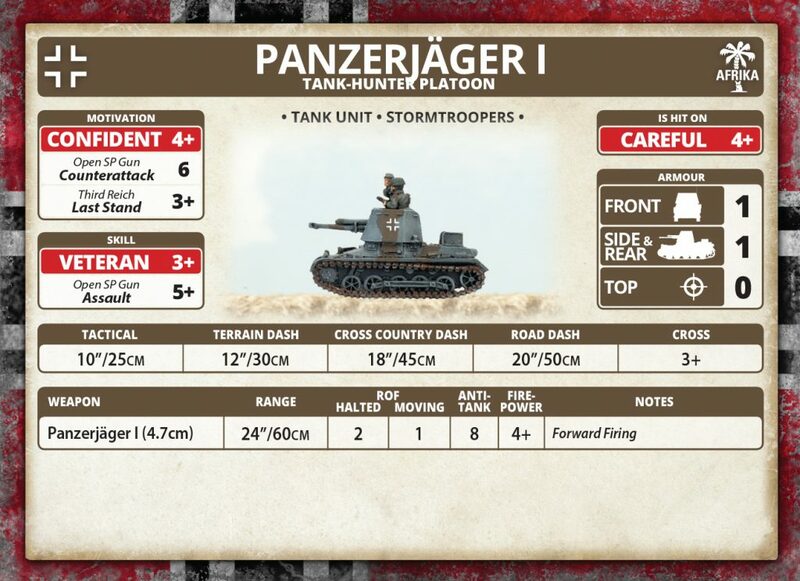 With Iron Cross out this year and focussing on the Battles of Stalingrad, these would be a great historically accurate unit to field. Either as part of your ARMIR (Italian 8th Army) Force or as allies for your German Forces. Historically also after the surrender of the Italians in September 1943, the Germans commandeered many of these vehicles, and were designated StuG L6 47/32 630(i). So to field these little Italian pocket rockets, we need to see how their stats will carry over into V4. 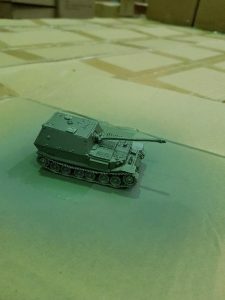 We will use the L6/40 light tank unit card as a base, as this is what it is based off in real life. So the armour will be the same, except as it is open-topped it will have a top armour of 0. 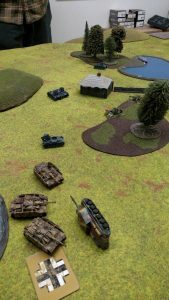 The movement values will also be the same, except that is has a slightly better cross value (3+) due to the better vision the open topped vehicle affords the crew. 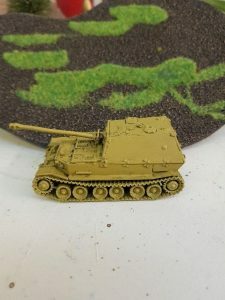 As far as firepower, it would have the same 47mm gun as the M14/41 Medium Tank with HEAT ammunition, but as it is a self-propelled gun with no turret, it would have the Forward Firing rule. In terms of crew, you would use the same crew as the larger Semovente 75/18, so your To Hit On is 4+, Skill 4+ and Motivation is the is 3+. But your Counter-attack 6+ and Remount 3+ are slightly worse, as the Semovente 47/32 is Open-Topped and lacked the Protected Ammo that the larger Semovente 75/18 had. 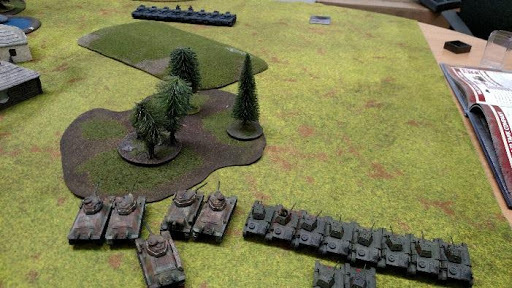 They would be taken in Platoons of 2 or 4. 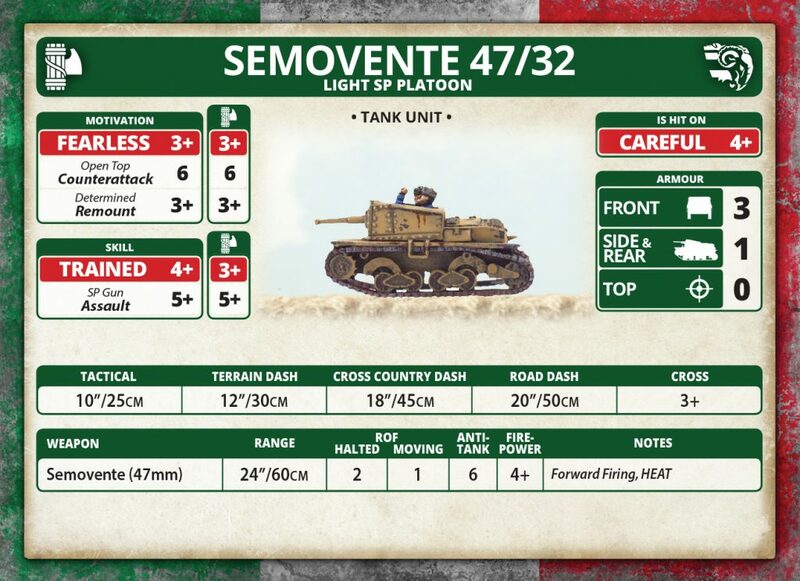 To use this unit card in your Avanti force you would substitute the Semovente 47/32 for the 90mm Lancia platoon in your Formation Support slots. As in reality units would use either one or the other depending on what they were facing. 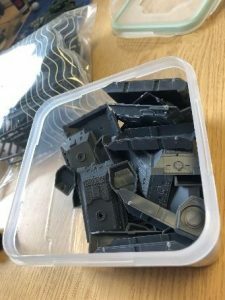 These assault guns can be used as a cheaper alternative when looking to take out MG/gun teams or small recon platoons of light tanks or armoured cars. Also as they come out of your support slots, it makes them a little more versatile, as you don’t need to take a whole formation to take them. Also they just look damn cool, for me I’ve always liked assault guns in all their forms. So if it hasn’t been the Stug Lyfe with my German Forces, it certainly has been the Semovente Vita with my Italians in V4. 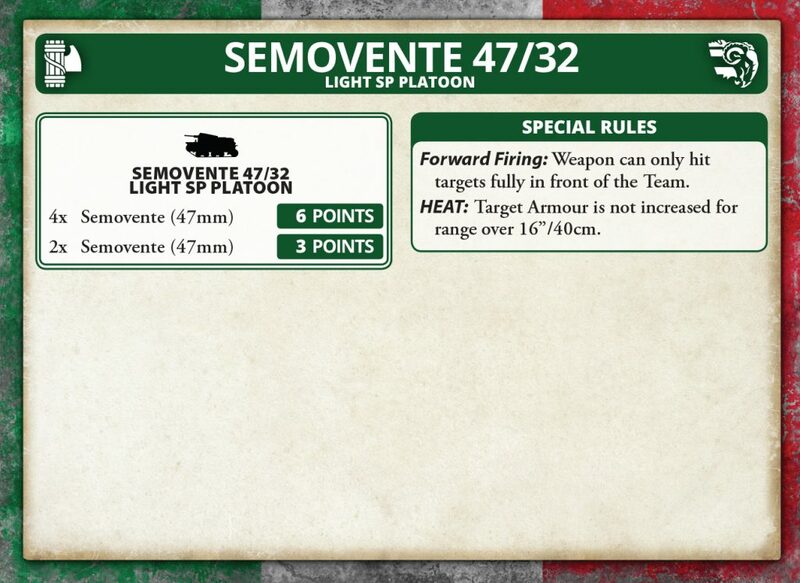 Semovente are one of the great Italian units in V4 and this allows you to field even more. So if you have these carri armati lying around and looking sad and forlorn in your miniatures cabinets, pleading for a game, maybe this card will help you bring them out for a run. 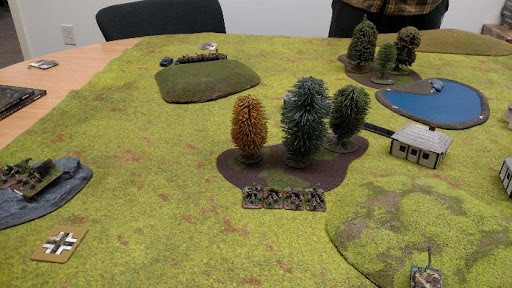 Ahead of his game against Andrew tomorrow, Victor has pilfered the buildings from the Prokhorovka board to set up his own Eastern Front.